Magnetic water conditions to reduce lime-scale have been successful for years in industry. Now a domestic model that fits in seconds to any standard pipe has been developed in the UK. Patented Aquamag is a breakthrough in the treatment of lime-scale. The powerful curved ceramic ferrite magnets contained in Aquamag produce a super field of high magnetic flux. This flux has been shown in manufacture's test to polarise the dissolved salts and magnesium that cause lime-scale build-up and staining without altering the taste or health benefits of the water. Guaranteed for 10 years, Aquamag is eco-friendly and fits in seconds around your cold water inlet, requiring no plumbing or chemical additives. Available in 15mm and 20mm sizes to fit all standard pipes. Electronic Aquamag-Plus is the proven way to prevent and eliminate limescale problems. Fitted in minutes and used in both industrial and domestic water systems, Aquamag-Plus generates intense high frequency modulated pulses across the cold water inlet pipe. These pulses alter the electrical and physical properties and of the calcium and carbonate ions, preventing their adhesion to both themselves or other surfaces. Unlike chemical water softeners, Aquamag-Plus does not eliminate the health giving properties of hard water. The solubility of the water is increased so after 6-8 weeks existing lime scale is dissolved. The savings on fuel costs are substantial, Aquamag-Plus costs only £2 per year to run. Complete with 12v mains adaptor and 5 year guarantee. Fat Free Frying In Your Microwave Oven! The faster, healthier, tastier way to fry your food without Fat! 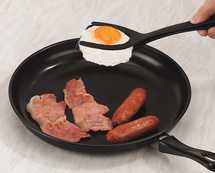 Excellent for cooking a full English breakfast in the microwave. Fries, crisps and browns bacon, eggs, sausages and mushrooms. Browns and sears meats, grills sandwiches, crisps frozen pizzas and french fries, etc. etc. 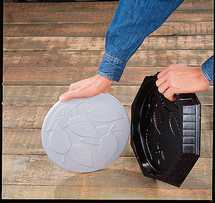 The 10" Microwave Browning Plate has a revolutionary polymer non-stick coated skillet, an insulated base for table top protection and domed splatter guard cover. 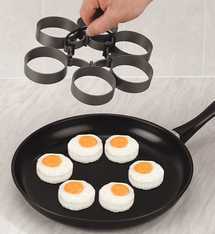 Cooks food to perfection without butter, oil or fat. It's always so annoying when you run out of space to hang up clothes - when you're doing the ironing, welcoming visitors or find your wardrobe is too small ! 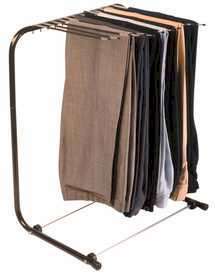 This useful clothes rail can expand in height from 43" to 71" to hold full length coats and dresses or in width from 24" to 44" when required. Compact for storage, the frame is equipped with castors for easy movement and incorporates a rack underneath for shoes or handbags. Worried About Intruders & Would Like To Protect Your Property? Affordable, authentic-looking simulated surveillance system. Replacing a closed circuit TV camera, it has a Flashing red LED light, power-coated metal housing, twin coaxial cables, wall plate and two warning decals. Fully adjustable in direction, in installs in minutes (hardware included). Runs for months on 1 x AA battery (not supplied). Measures 7" x 4" x 2.5"
Destroy Fleas Instantly As You Comb Your Pet! Eliminate ticks and fleas from your pet with this very latest completely safe and chemical free electronic comb. A safe and effective way of removing and killing both fleas and ticks from your pet's coat. 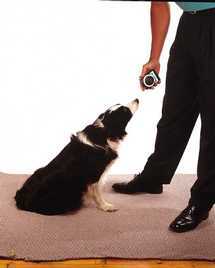 The built in electronic teeth provide a harmless voltage that is fatal to fleas and ticks. As the comb passes through your pet's fur, a flashing LED light indicates that fleas are present, killing them instantly on contact. Can also be used on human hair for eliminating nits and head lice. lightweight plastic, aluminium handled, general purpose foldable cart. Measures 15" wide x 13.5" deep x 13" high when fully open. 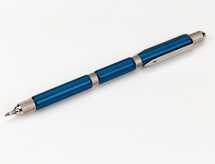 Aluminium handle extends 20". Easily folds down to make a compact carry case measuring 15" wide x 3" deep x 13" high. Ideal for shopping, round the garden or in the home. Step Ladder & Trolley in one Mode from sturdy tubular steel, this versatile 2-way design will be invaluable in every household. In one guise it is a sturdy 2-step ladder measuring 104.5cm high with a useful hood roil to keep you safe and steody. Fold it the other way round it turns into a sturdy 2-wheeled hood truck capable of carrying a load of up to 56.8kgs. When not required folds almost completely flat for easy storage. With no guarantee on the British weather, any extra drying spate is a great help. 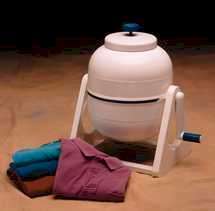 This handy double dryer can be placed over the bath or free-standing to cope with all those garments that need to be dried flat eg. sweaters, knits, fine woollens and synthetics. Opens to 24" x 49" and folds fiat for easy storage. Have furniture looking as good as new for a fraction of the cost. 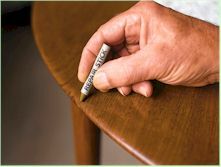 Re touch crayons are an inexpensive answer to scratches and dents on waxed or polished or varnished furniture. Pack of 10 wax crayons to match almost any finish from pine, oak and yew to mahogany, teak, black and white. Simply rub on, let the wax harden and wipe for amazingly effective repairs. Also great for filling holes left by nails or wood worm. 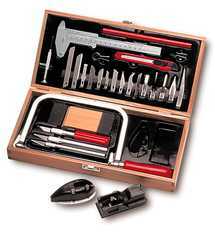 These professional quality tools have been designed specifically for model-building, carving, woodwork and other crafts. The comprehensive set includes 3 knives, a sander, a spoke shave, a block plane, a balsa stripper,2 routers, 4 gouges and 9 assorted blades, coping saw, vernier scale, watchmaker's screwdriver, carpenter's pencil and snap off blade craft knife, presented in an attractive practical pine case. Complete with mains plug. Mains operated. These clever detachable fly screens are an environmentally friendly way of keeping flies and midges out of your house - whilst enjoying the fresh summer air. Easily trimmed to fit most sizes of doors and windows, they can be fitted or removed in minutes using simple fastening strips. Washable and hygienic. Effective even in high wind. Fine mesh gives 90% light transmission. Make Your Own Delicious Fruit Juice, Soups & Purees With This Latest Juice Extractor! Now you can make your own fresh juices in seconds without losing the natural vitamins, minerals and flavours which carton juices lack. This powerful electronic Juicer automatically separates the pulp from the juice and feeds them into two separate jugs so that you can us the pulp to add to cooking. Useful all round the home. Put clean laundry straight from the washing machine into the Trolley and wheel direct to your washing line, tumble dryer or ironing board. Features attached useful peg bag and folds easily away when not in use. Measures 63.5 x 58.5 x 42cms. 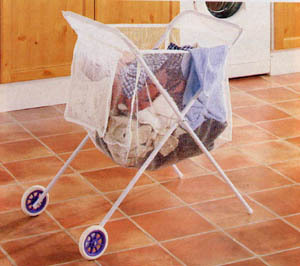 This magazine Trolley combines elegance with versatility creating a very practical item for your home. The Trolley is made with black tubular framing and tempered glass making it very strong, yet at the same time would still look comfortable in any home. The Magazine Trolley can be used to serve snacks and drinks or as a useful display table - it is both useful and practical. Delicious Fat-Free Chips Direct from Your Microwave! 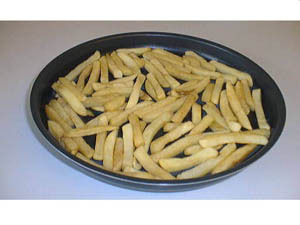 Cook oven chips at microwave speed with the Microwave Chip Maker. Enjoy great tasting oven chips in under 6 minutes! 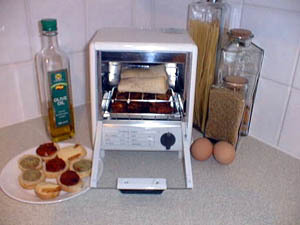 Easy to use the Microwave Chip Maker can also be used for crisping pizzas and cooking bacon, chops, steak, fish, mushrooms and tomatoes. 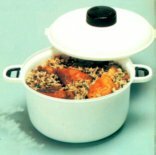 Also the ideal cooking dish for combination ovens and microwaves with grills. 10" diameter approx. Suitable for microwaves over 27cms wide and 30cms deep. retention and off for storage and freezing, creating an airtight seal. The 3 Cookpots are dishwasher safe and are supplied in Small- 1 litre, Medium - 1.7 litre and Large - 2.8 litre capacity Ideal for single meals and family size cooking. Cooks pizzas, hamburgers, hotdogs, gratins, rice, pasta and many other dishes perfectly. Makes delicious toast or toasted sandwiches. 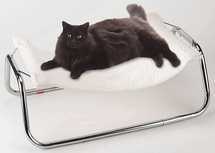 Measuring approx. 9.5" high x 8" wide x 6.5" deep, this mini appliance is a must for the caravan, boat, kitchen or bedsit. 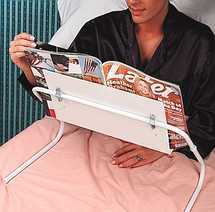 Comes complete with two wire racks, two metal trays, full instructions and CE mark. Makes any room look brighter and larger! Have the look you've always wanted for a more affordable price, than a full length mirror Simply apply to wall or door (cut to required size with scissors). Manufactured in quality vinyl with a protected coating. 5ft long x 2ft wide. for paperwork, or your phone. 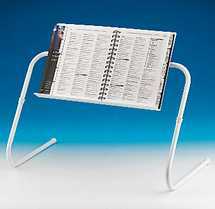 Neat and discreet, it's a very inexpensive way to expand your office. No more dragging around a heavy hose, accidentally blasting soil out of planters, then struggling to rewind the hose. Perfect for light watering needs, the Garden Coil attaches to an outside faucet or garden hose, the coil then stretches to reach hanging baskets and planters, etc. The 24" long nozzle easily reaches hanging pots and allows you to water patio plants without bending. Features an easy on/off finger switch and 4 variation spray shapes from a gradual mist for watering seedlings, to a high pressure water broom effect for cleaning patios, drives, cars, etc. Total outstretched length 34ft. 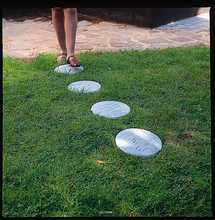 Use arrows to view next products in Garden & DIY Section. Click Garden & DIY to see list of Products in Garden & DIY. smoothly on a sturdy track that mounts using the hardware included in any 24" cabinet. Be Safe & Secure With This Heavy Duty Electric Paper Shredder! Shred those monthly bills, personal files, private letters, business documents and financial statements. The Heavy Duty Shredder shreds up to 5 sheets of A4 size paper into unreadable ¼" strips. 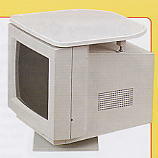 Fitted with an adjustable arm to sit conveniently over any standard size waste paper basket. Mains operated, complete with fitted plug. Every cook knows the benefit of pressure cooking chicken, meat, beans and stews - now you can pressure cook more quickly and easily with this Micro-magic Microwave Pressure Cooker. Dishwasher safe and a 10-cup capacity, the Microwave Pressure Cooker is supplied complete with it's own ¾ cup capacity measuring cup and tough non-scratch spatula for east stirring. Meals cook faster, and your food is tender and tasty with non of the goodness boiled away! Starter recipes are included for steaming rice, vegetables and more. 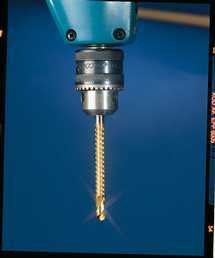 A DIY innovation from the USA, the 6.3mm (1/4) Saw Drill does more than drill holes; it also cuts, reams, enlarges existing holes and saws 'difficult' odd-shaped apertures in most materials. Coated with ultra-hard titanium nitride so it cuts faster and cooler, the precision-ground steel bit is suitable for working in woods, plastic and metals and the 135 deg split point ensures easy starting every time, even in steel. Fits any 6.3mm (1/4") or larger drill chuck. At long last I've been able to light up those poky dark corners, without having to spend money on extending the mains lighting. This bright fluorescent tube - 61/4" (16cm) length - comes with self-adhesive hook and loop pads - simply "stick it up" wherever you need extra light - in the attic, garden shed, cupboards, garage, under the stairs, in a tent, boat or caravan. 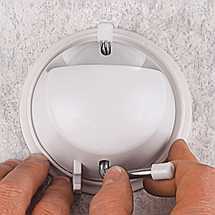 A203 Stick-Up Light 6 ¼ "
A204 Stick up Light 12"
This 6 Arm Towel Hanger or rail fits in seconds to any bathroom wall. The power suction sticks fast - no screws required. Folds neatly against wall when not in use. Suction unit measures 41/4" dia. Each arm length measures 19". This amazing DIY product is covered with a new ultra-hard coating that gives It Incredible strength. 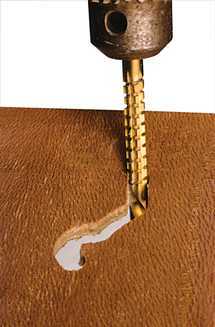 Super Wire cuts through all materials Designed to fit a standard hacksaw, it cuts metals, glass, ceramic tiles etc. with control and precision. Even after going through metal it stays like new and never needs sharpening. 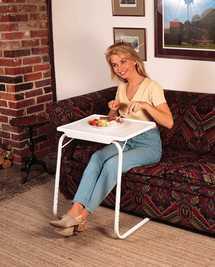 This amazing portable table is ideal for TV dinners, homework, painting, cards, jigsaws, art and crafts, bedside meals, etc. Its strong but lightweight tubular steel construction is adjustable for both height (59cm to 76cm, 22" to 30") and angle with an oversize wipe-clean top. 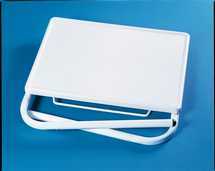 When not in use the Table Valet folds 3"x22" for easy storage. 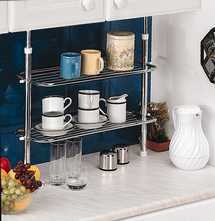 Create extra kitchen space as required with this 2 tier chrome plated kitchen rack. Ideal for space between worktops and wall units. Height extends from 57-75 cm. No More Scrubbing Chemical free Toilet Bowl Descaler Lasts 5 Years. Don"t waste money on harsh chemical cleaners or spend your time scrubbing. With every flush (up to 50,000), this remarkable cartridge helps loosen and prevent lime scale build-up, thus reducing fungus, mildev4 bacteria and stains. 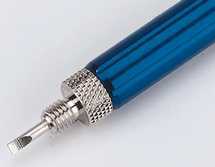 Hidden in the flow-through cartridge are advanced hydro.mineral magnets and Bact-0-Bane antibacterial fibre. They work without adding anything to the water, or removing anything from it. Measures 4 x l~I494 x 1/2W. Use two in very hard water. The world's easiest toilet bowl descaler, just drop it in the tank and it goes to work - preventing mineral build-up and stains. 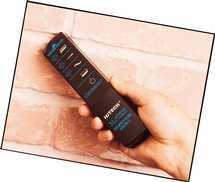 Giant Screen Viewing From Your TV or PC. You'll get big screen viewing without spending a fortune when you purchase the TV Magnifier. It will blow even the smallest TV screen up to a massive 26", but will also keep the picture crystal clear. There are no expensive attachments because this is all you need to get an enlarged quality image. You'd pay hundreds more for a TV with a screen of these dimensions. Installs in minutes. Fits up to and including 24" TV Screens. Functions, High Speed Rewind. Measures: 11" 5" 2" (28 x 12.5x 5cms). Mains operated. load in minutes. Cleans up to 5lbs of clothes, takes 2 double sheets in one wash. 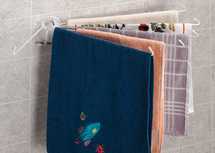 Supplied with four dry pads to spot clean and refresh clothes. Ideal for busy mums and small households.